James Chin Moody. Currently, he's the Co-Founder & CEO of Sendle, a disruptive business that is shaking up the postal industry. Prior to that, he was Executive Director of Development at Australia's National Research Agency, CSIRO. In this conversation, we talk about what it takes to establish a business and to grow it successfully. How to build a good team, what it takes to maintain your commitment to your vision, and also, the experience that James has had himself, as an entrepreneur. He's a co-author of a bestselling book, The Sixth Wave: How to succeed in a resource-limited world. He’s also heavily involved in significant global organisations, including the World Economic Forum, he's a Young Global Leader who is also heavily involved in global climate conversations. James is a really phenomenal communicator and his story is fascinating. He's an engineer by background, who's now running one of Australia's fasted growing startups. 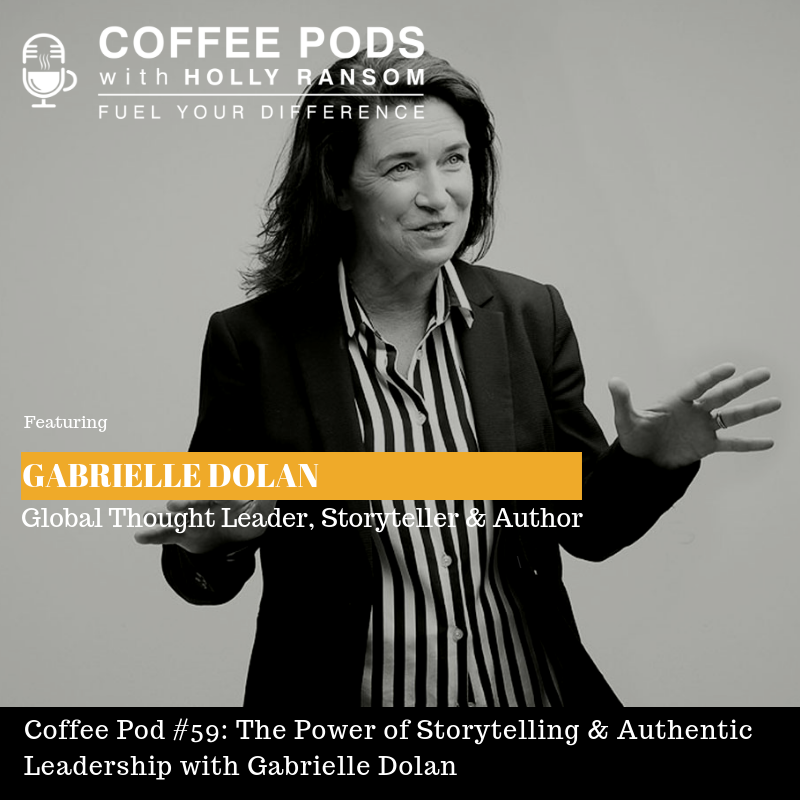 Gabrielle Dolan, she’s a global thought leader on authentic leadership and storytelling. In this conversation, we're getting into the art of storytelling. Gabrielle has worked with high profile leaders around the globe to help them become better leaders and communicate using the art of business storytelling. We're going to delve into what makes a good story, how is it that you can think about start, middle, and end, how do you get resonance with the people that you're talking to, and a whole variety of other tools, ideas, and strategies that can help you enhance the way that you effectively engage using the power of storytelling. Our guest Karen Palmer merges film, storytelling, technology and neuroscience to create emotionally responsive cognitive film experiences. What does that mean? It means when you watch Karen's film you wear a virtual reality headset and the film responds to how you react, so if you react to a particular saying with fear versus calm versus aggression the narratives going to take a completely different turn. It's a phenomenally interesting application of creativity and neuroscience, and I think you're really going to enjoy Karen's insights onto how technology and storytelling are being applied in new and innovative ways. She's an award winning international artist and public speaker and her immerse films have been shown all around the world and have won numerous awards including the digital dozen breakthrough and story telling, which was an acknowledgement for the most innovative approaches to narrative in the worlds of art, entertainment, journalism and marketing. For the first time ever we have taken Coffee Pods live on stage to record an interview with Barbara Hyman the CEO of PredictiveHire, a company that is seeking to bring data and algorithms to application in how we hire talent and make the right people choices. Barbara's career is a really interesting one and we delve into her experience in traditional corporate life leading a really significant transformation and change project at REA. Now, into startup world as a first time CEO in a rapidly growing business. And what we talk and focus on is really the contrast and the expectations, and the leadership demands of both those different worlds. His story is incredible and he has such an important message to share. So who's Rob? 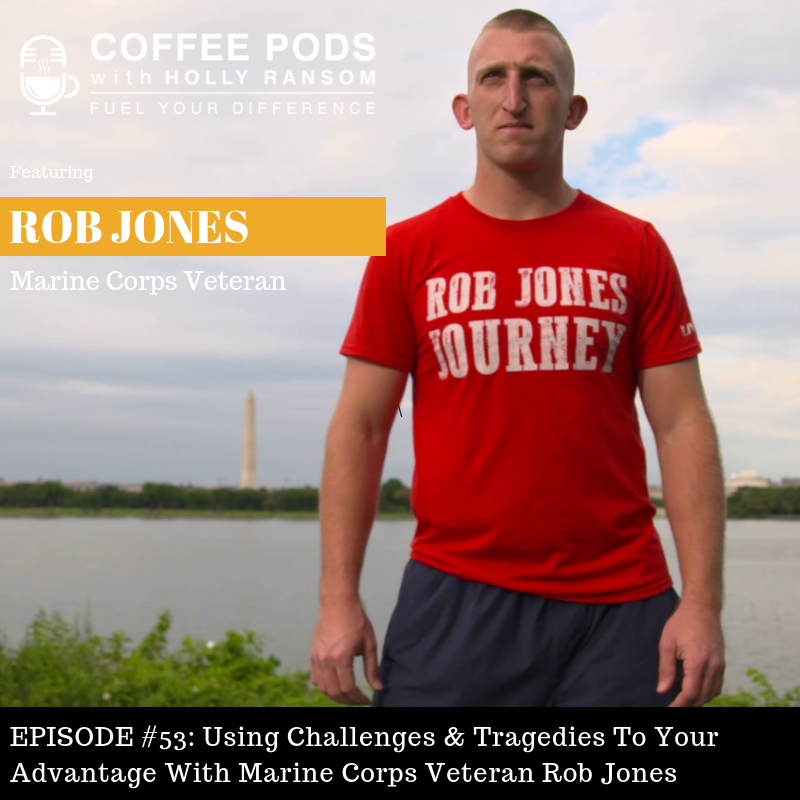 Rob was a combat engineer in the US Army when an IED blew up under his feet in Afghanistan and took both of his legs. He became a double above the knee amputee and he's gone on an incredible recovery journey that has seen him do everything from ride across America in the middle of winter to winning a bronze medal at the Paralympics, competing in the Invictus games which we recently hosted in Australia and running 31 marathons in 31 days, all to challenge the perception of what both returned service men and women and of what people with disabilities are capable of doing. He has quite an incredible personal philosophy. I think you'll find his mantra and outlook on life really uplifting. And his approach to resiliency and how you, as he calls it, "use the weight," really inspiring and useful for things that you might be going through in your life. Ron has developed a reputation as a dynamic and inspirational transformation and business growth specialist having taken on some of the most difficult commercial and brand reputational challenges. His ability to identify growth potential, re-energise culture and build profitable businesses has led to several high-profile turnarounds that have cemented this reputation. During a diverse executive career, he has assisted organisations to grow by adapting to change and disruptive competition across multiple industries and sectors. He works with organisations to identify their assets and leads them through a process of leveraging and monetising those assets resulting in significant revenue growth. Student of leadership and organizational design, former nuclear submarine commander, Author of Amazon #1 Best Seller: Turn the Ship Around! And The Turn the Ship Around! Workbook, and one of Inc. Magazine’s Top 100 Leadership Speakers for 2018. Dr Beau Lotto is a globally renowned Neuroscientist who studies the art of human perception. The Founder and CEO of Lab of Misfits, the world’s first Neuro Design studio. Misfits is a team of scientists, designers and producers who discover the essential questions about the nature of uncertainty. In this conversation we get into a whole ray of fascinating Neuroscientist topics, we talk bias, perception, the power of play, the notion of being wired for wonder and how everything begins from not knowing. Catherine Robson is an accomplished entrepreneur and award winning financial adviser. She is the founder of successful financial service business Affinity Private and has over 20 years of experience advising sophisticated high net worth individuals and family groups. Catherine’s commitment to quality advice and strong alignment of interests with clients by eschewing all commissions, has earned her numerous awards including the Financial Planning Association’s Victorian CFP professional of the Year, AFA Female Excellence in Advice Award, Money Management Magazine Adviser of the Year and the Australian Private Banking Council’s Outstanding Investment Advisor of the Year. Today we are talking all things Wealth, Money and Financial Advise. If you are someone that tends to shy away from money or wealth related conversations this is one to lean into but for all of you out there a really great refresher for whatever point you are coming to this conversation on. Annabelle Chauncy OAM is the CEO and Founding Director of School for Life Foundation. Annabelle is a dynamic leader and social entrepreneur who started a multi-national NGO at the age of 21, with operations in both Australia and Uganda. Annabelle has overcome huge barriers including running two high performing businesses in different continents on exceptionally tight budgets, cultural and gender biases, shifting mindsets, driving change and innovation, engaging staff, building teams and raising capital. 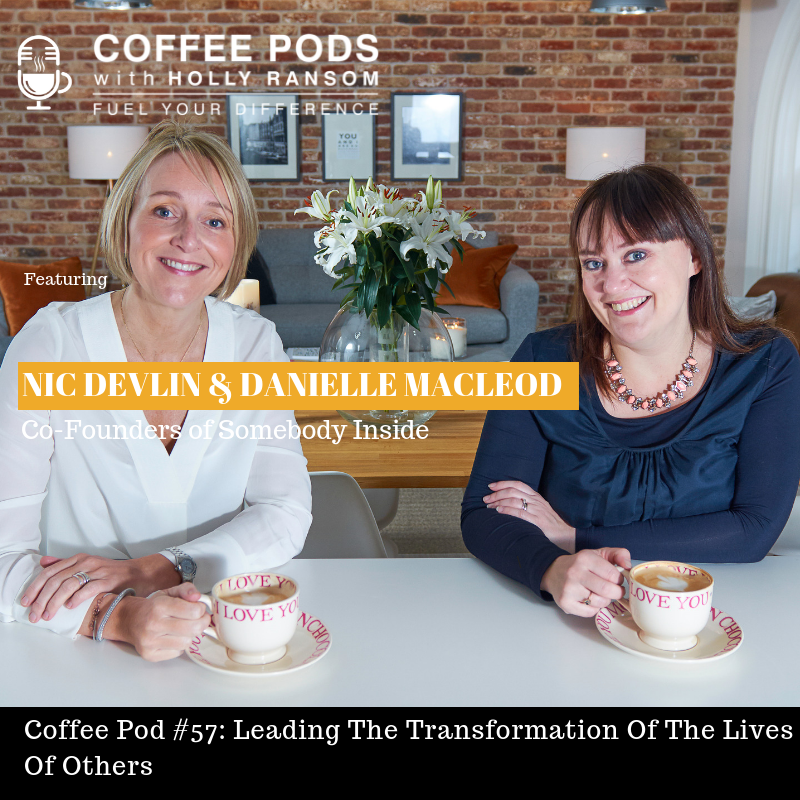 She now moves her business forward to focus on sustainability, driving innovative strategies to create businesses to underpin her charity's growing operational budget, and ensure the foundation isn't reliant solely on donations. 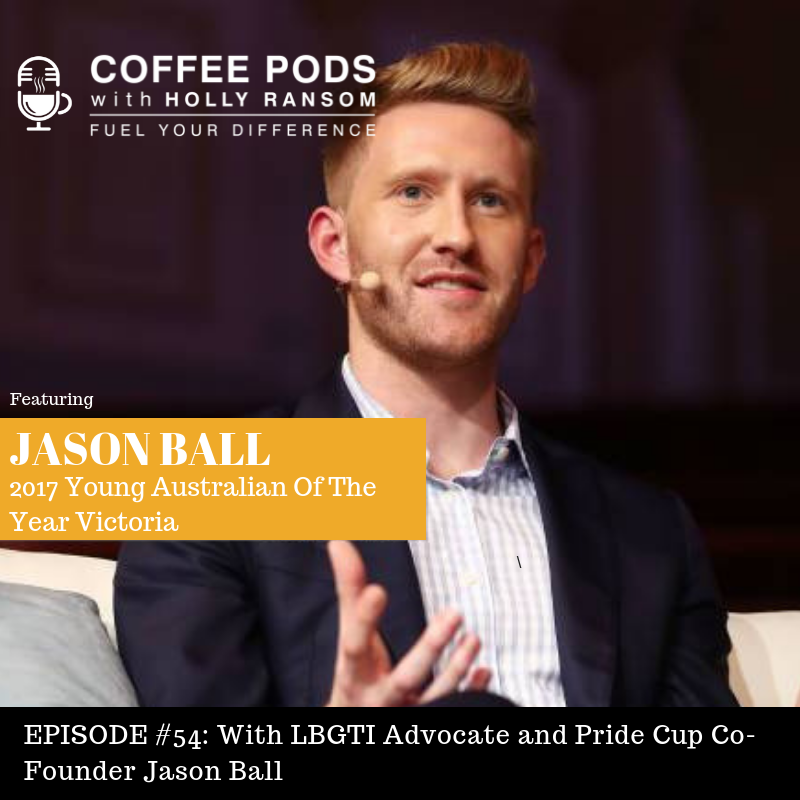 One of the youngest recipients of the Medal of the Order of Australia at just 27 years old, she is an inspiring and energetic speaker who can relate to audiences of all backgrounds and ages. Annabelle will inspire and enlighten your team with her story and experiences of being a young social entrepreneur and businesswoman making huge change in the developing world. Dr Kirstin Ferguson is a leading company director, author and sought after commentator on leadership, gender diversity and inclusion. Dr Ferguson is also the creator of the widely acclaimed global #CelebratingWomen campaign and author of Women Kind. Dr Ferguson began her career after joining the military aged 17 and went on to become the Dux of her Air Force graduating class at the Australian Defence Force Academy. After being posted to an F-111 Squadron, she studied law and spent almost a decade in leadership roles in a corporate law firm. Dr Ferguson then went on to become CEO of a global consulting organisation before commencing her professional company director career. In this chat we talk about all about how to raise your voice and advocate for what you believe in, how to build resilience, how it is that you can become a more inclusive leader that celebrates diversity and lives it in the way that you set up your team culture and structure and we are also going to follow the story of the lessons learnt from the incredibly powerful celebrating women campaign which turned into a global phenomenon. Introducing Frances Valintine. Frances is an educational futurist from New Zealand. Now, she's won a stack of awards for her education program. Notably, best startup in Asia Pacific as judged by Richard Branson and Steve Wozniak in 2014. She also won excellence in social innovation and a variety of influence and innovation awards. In this conversation. We talk about how the notion of what it even means to be skilled in shifting. We talk about the realities of the modern day workplace and the challenges, but also the opportunity for leaders managing millennials to think about the way they shift their approach and the way that they transform their culture. Meet Brett King. Brett King is a futurist, an Amazon bestselling author, an award winning speaker and CEO of disruptive mobile bank Moven. Brett also hosts the world's most popular fintech podcast 'Breaking Banks'. In this podcast we chat disruptive future trends leaders need to be preparing themselves for, the challenge of transforming legacy systems and how to kickstart innovation. This week, we're heading to the land of the long white cloud. That's right, New Zealand, and our guest is the incredible social entrepreneur, Lisa King. Now, Lisa had a background for about 15 years in high-level marketing roles in fast-moving consumer goods type companies before she stumbled upon the statistics she just wasn't prepared to walk past, and that was data around how many young New Zealanders go to school each day without food in their stomach. She decided that she was the person to do something about it, so she set up Eat My Lunch NZ, a social enterprise built on a one for one model where you buying your lunch as an individual or a corporation not only gives you your lunch, but it provides a lunch to someone from a low income school. It's gone gangbusters. Lisa's been named Person of the Influence in Business in 2016, in the community in 2017, one of the most prominent social entrepreneurs in the whole of New Zealand, and the scale with which this business is growing is extraordinary. We're going to touch on not only how Lisa saw the need, but how they've built and responded to that extraordinary demand because that's been one of the biggest challenges they've faced. It's an amazing story and a truly remarkable woman telling it. Without further ado, here's Lisa King. 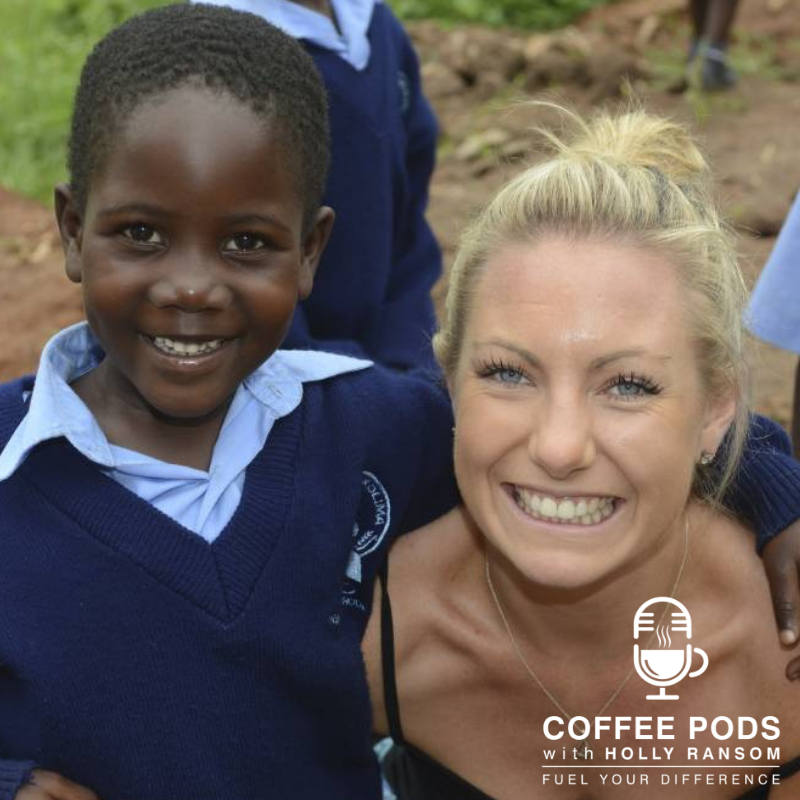 Coffee Pod #43: Canadian Powerhouse Vicki Saunders Founder of SheEO, Entrepreneur & Award-Winning Mentor. Meet Vicki Saunders. She is a Canadian powerhouse. She's an entrepreneur. She's an award-winning mentor. She's an advisor to the next generation of change makers, and a leading advocate for entrepreneurship as a way of creating positive transformation in the world. As we'll touch on at length in the podcast, she's the founder of SheEO, a movement of radical generosity, this extraordinary global initiative that's aiming to radically transform how we support, finance and celebrate female entrepreneurs. We're going to delve into the extraordinary journey of how Vicki and her team arrived at this concept, how they've built momentum behind it, and the extraordinary impact they're achieving in the world at this moment. Vicki's been named one of 30 world changing women in conscious business. She's been named by the World Economic Forum as a global leader of tomorrow, and is continually called out the extraordinary impact that she's having through business and empowering women worldwide. There are so many brilliant takeaways in this conversation, but it's also just such an inspiring concept and initiative, one of those people who saw the need and decided to continually and persistently chip away at it. Without further ado, here's Vicki. Joining me this week is Lisa Messenger. The vibrant and game changing CEO of the Messenger Group and the Founder and Editor in Chief of Collective Hub magazine which was an entrepreneurial lifestyle magazine distributed into over 37 countries. Lisa's authored and coauthored 16 books and become a real go-to in the startup scene. One of the things I love about this podcast is how vulnerable, real and raw Lisa is. Not only about her own life and the journey to build Collective Hub but also some of the more recent challenges she's found herself in. It's a really great set of lessons for aspiring entrepreneurs, for people who are thinking about taking risks, for people who've got an idea that they're working on and also anyone who's interested in the journey of self discovery, for that matter. It's packed with a lot of honest reflection and I think you'll really thoroughly enjoy it. Without further ado, here's Lisa Messenger.